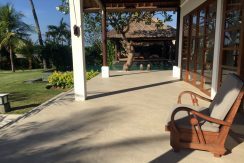 The large swimming pool (15 m x 5 m) starts right on the terrace. 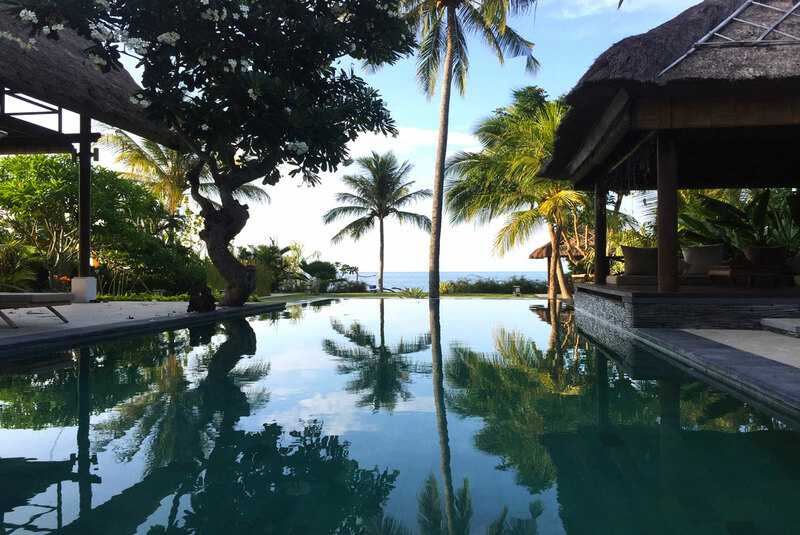 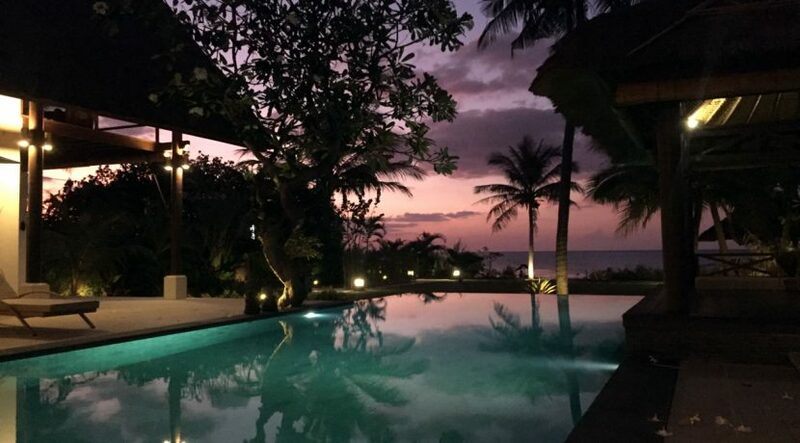 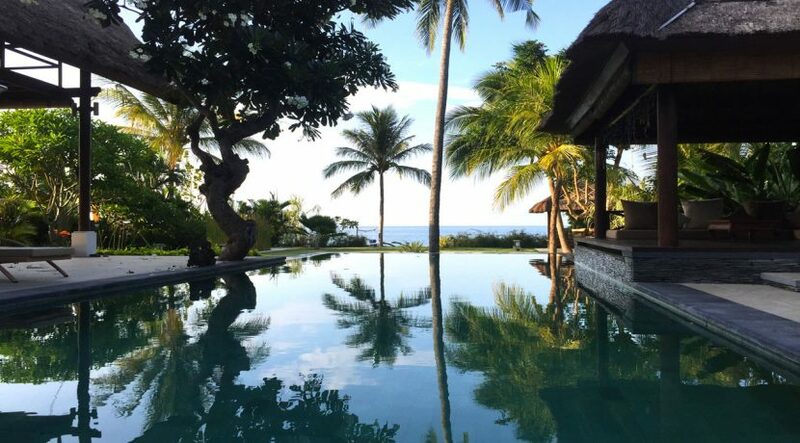 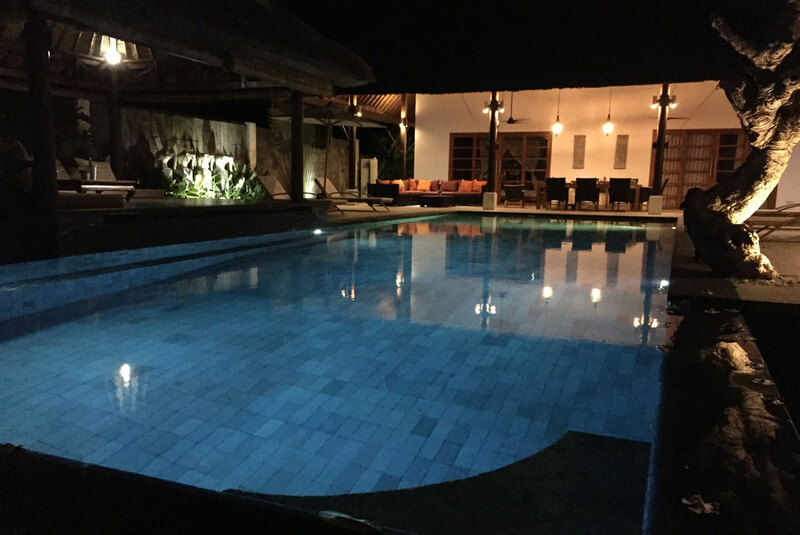 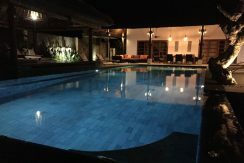 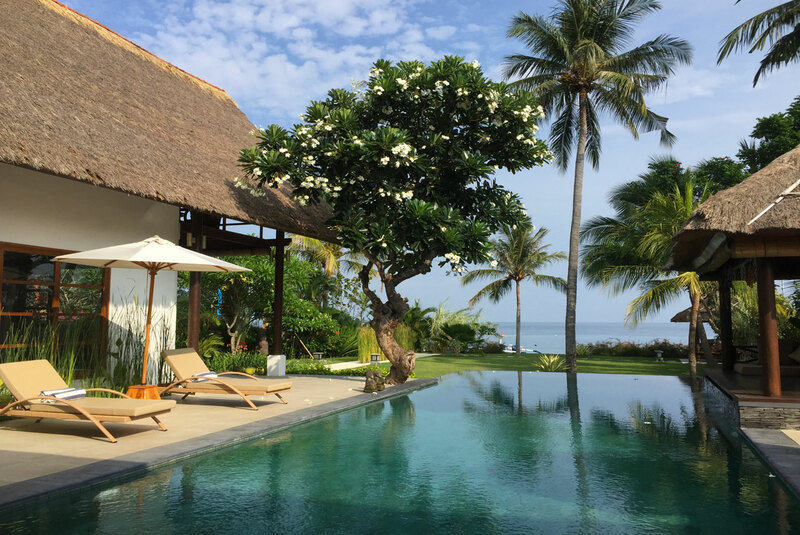 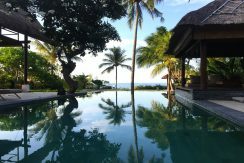 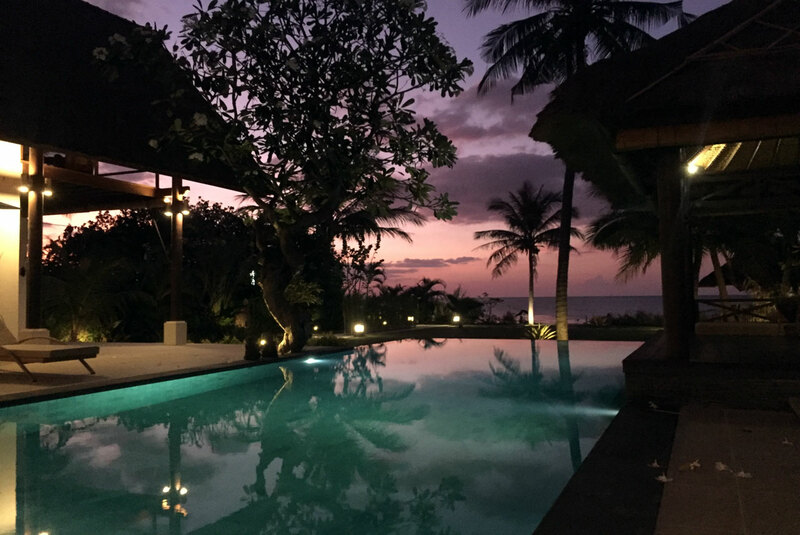 The pool is equipped with seats in the deepest part of the pool, beautifully situated under the crown of a very old Frangipani tree, who frequently drops delicious smelling flowers in the pool. 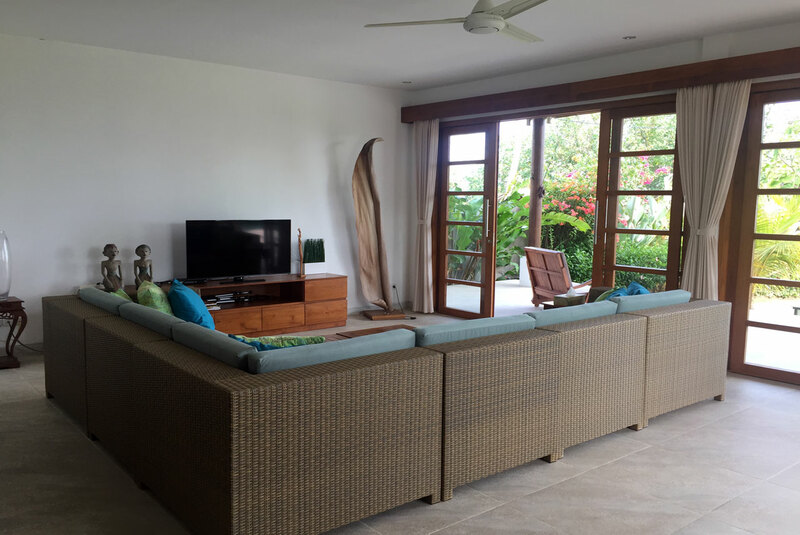 Adjacent to the pool is a spacious Bale with lounge pillows equipped with a ceiling fan. 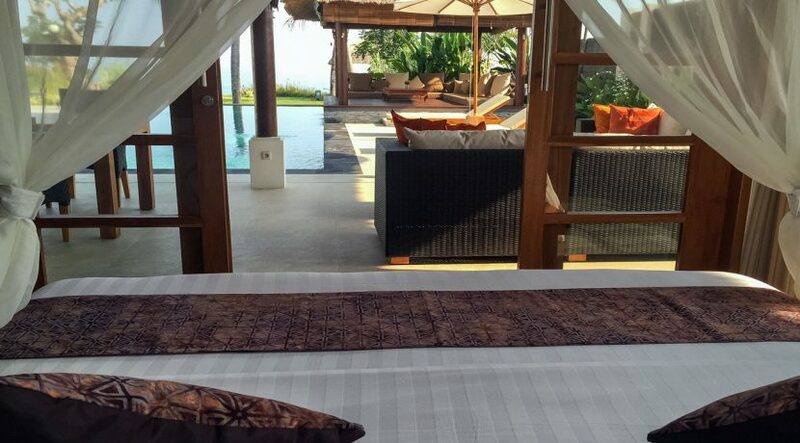 Close to the beach is a smaller Bale, also equipped with lounge pillows. 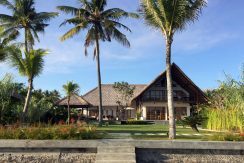 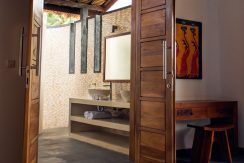 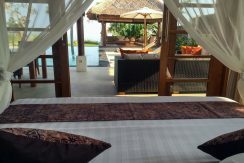 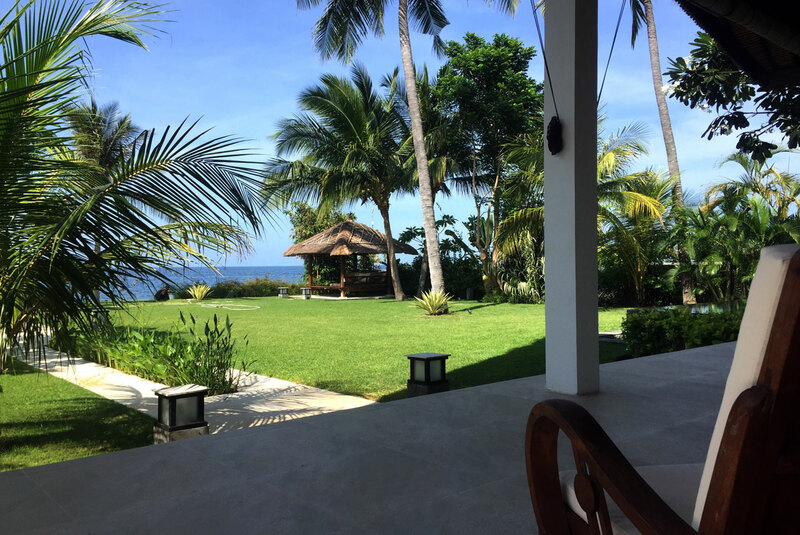 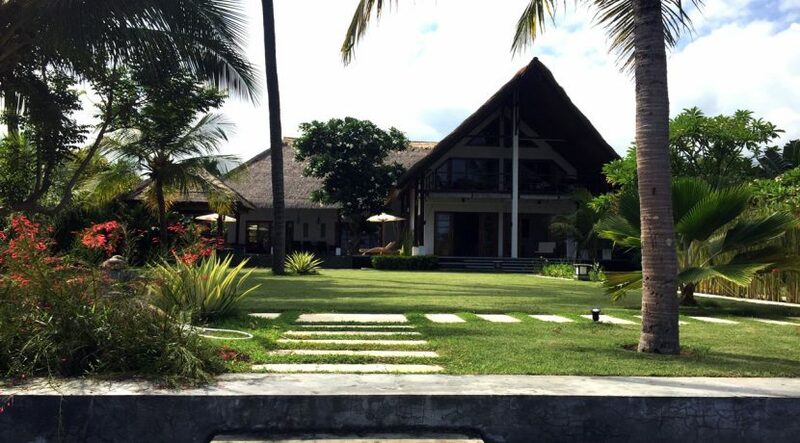 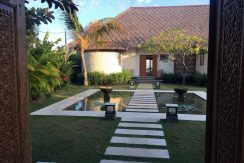 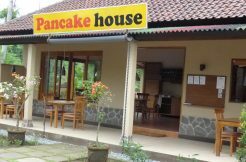 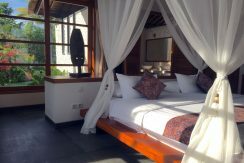 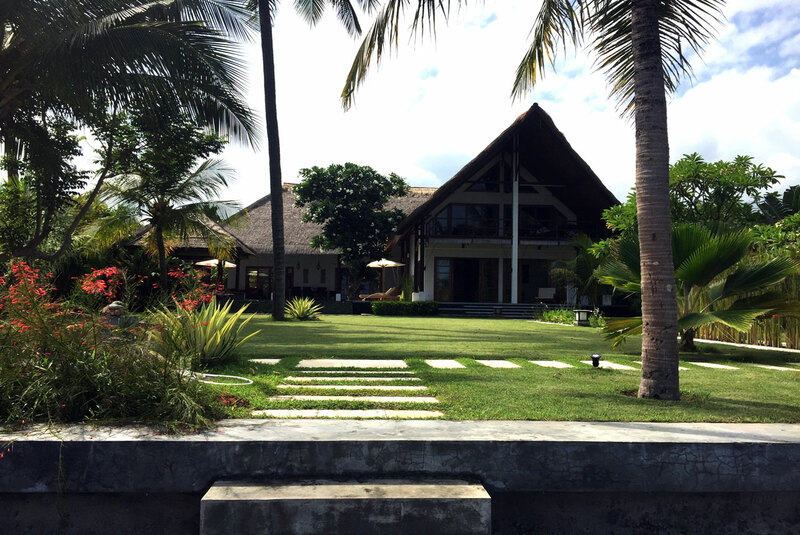 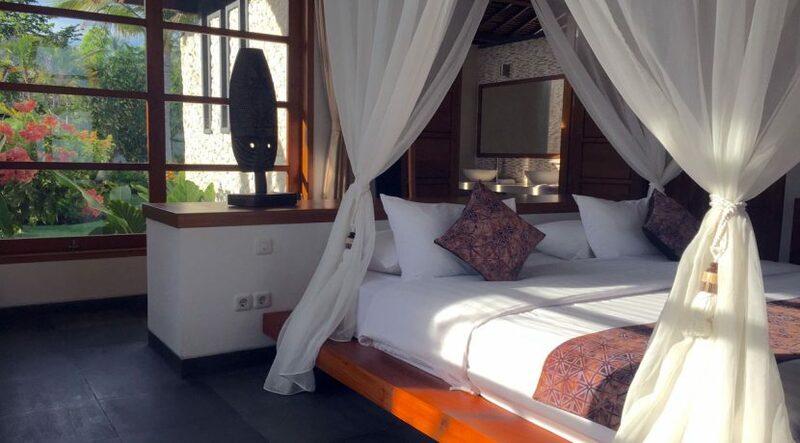 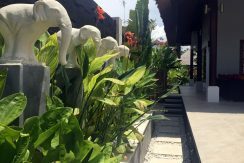 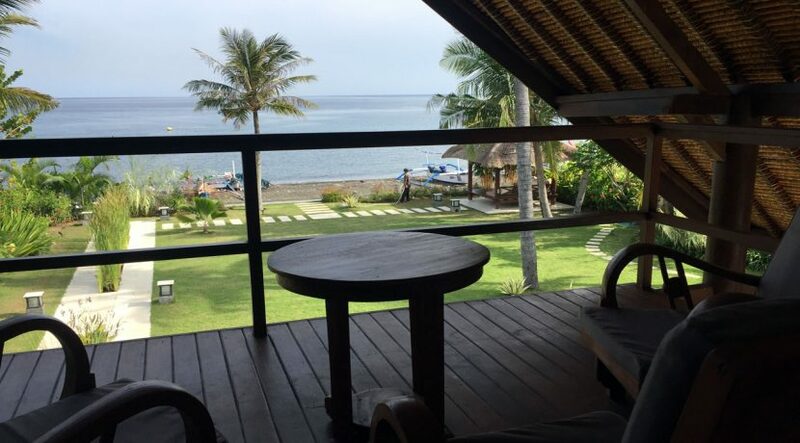 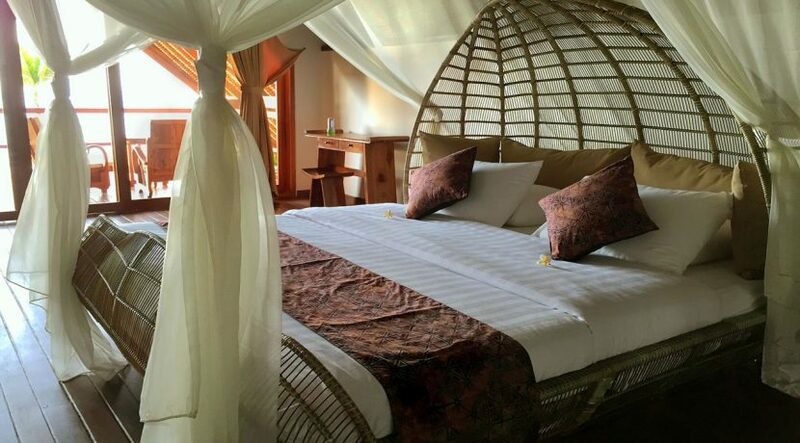 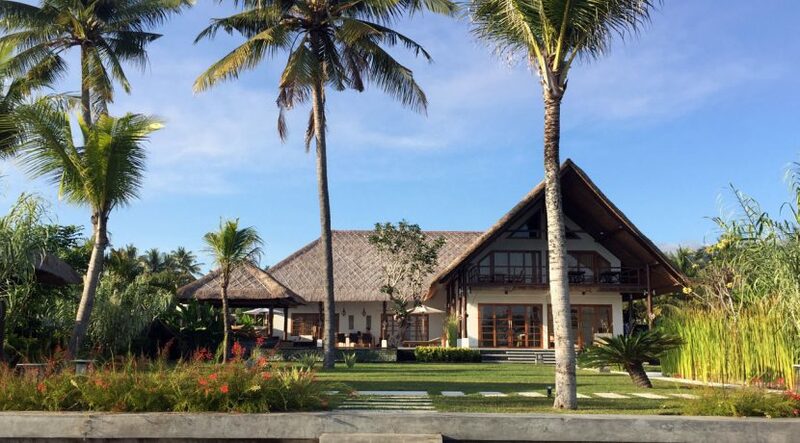 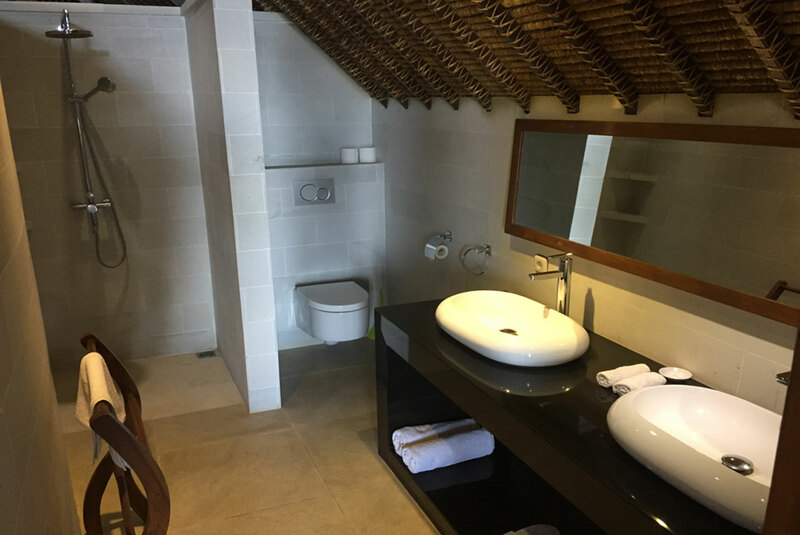 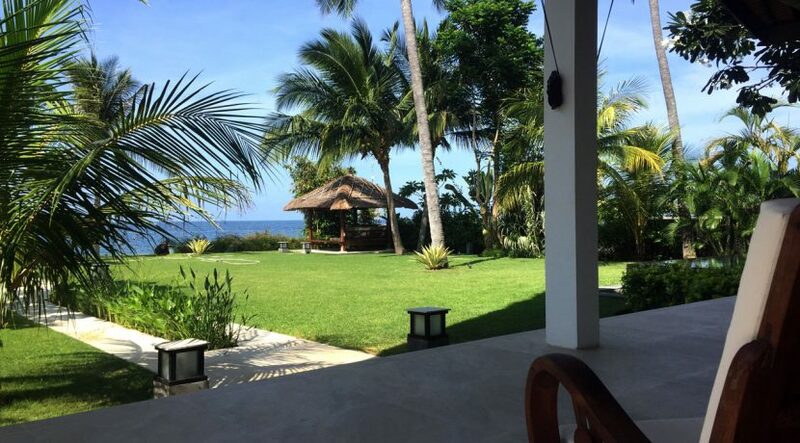 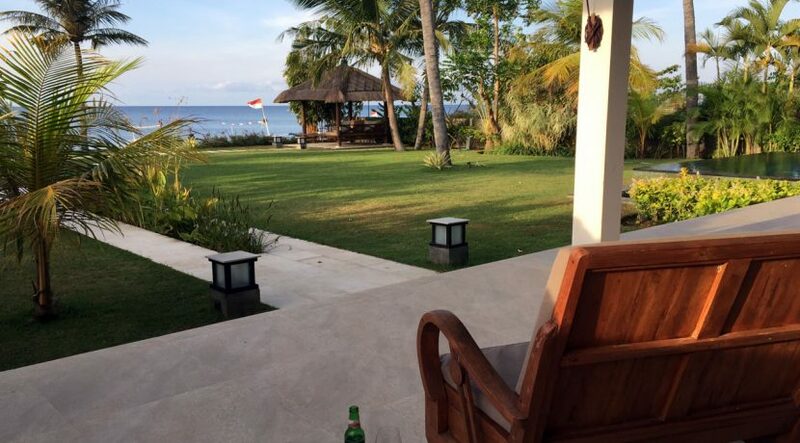 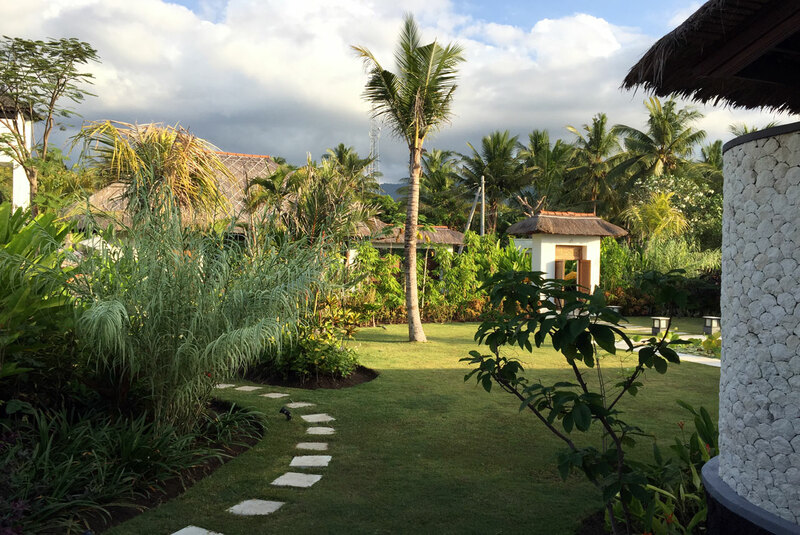 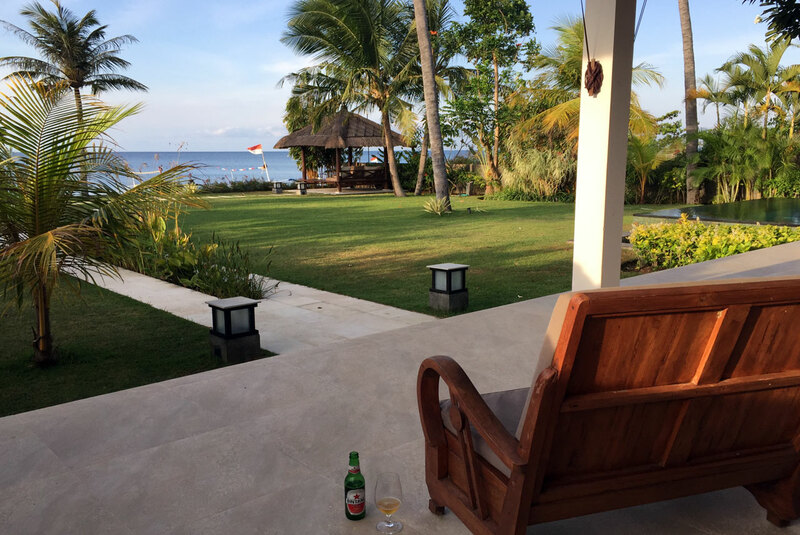 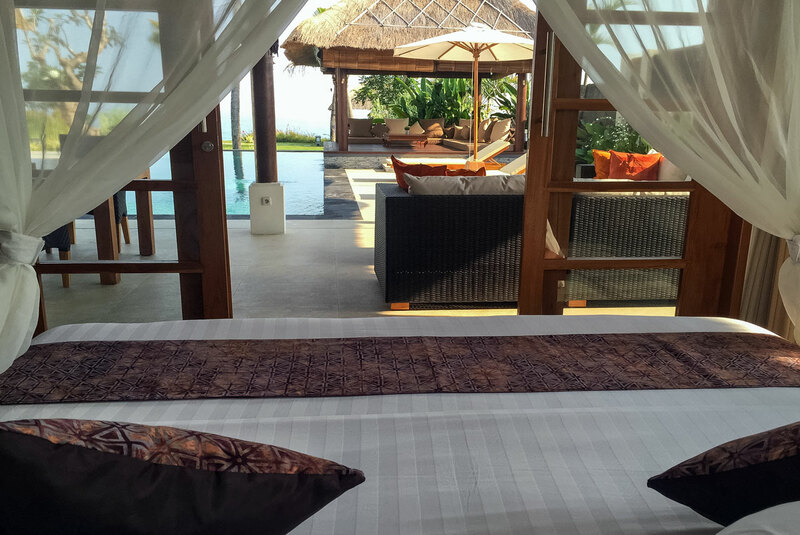 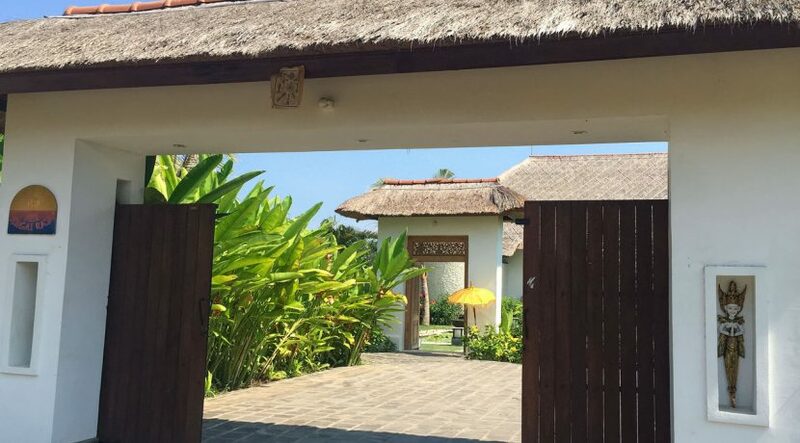 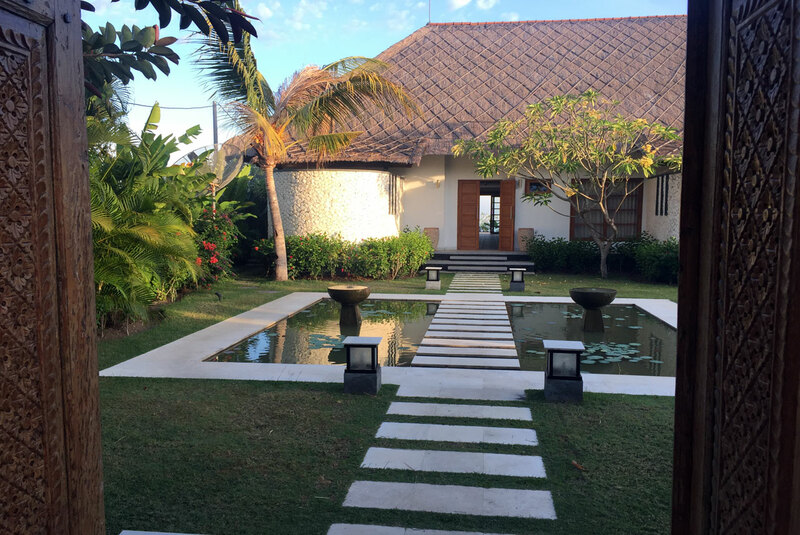 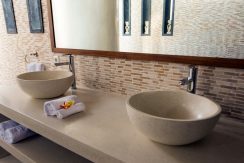 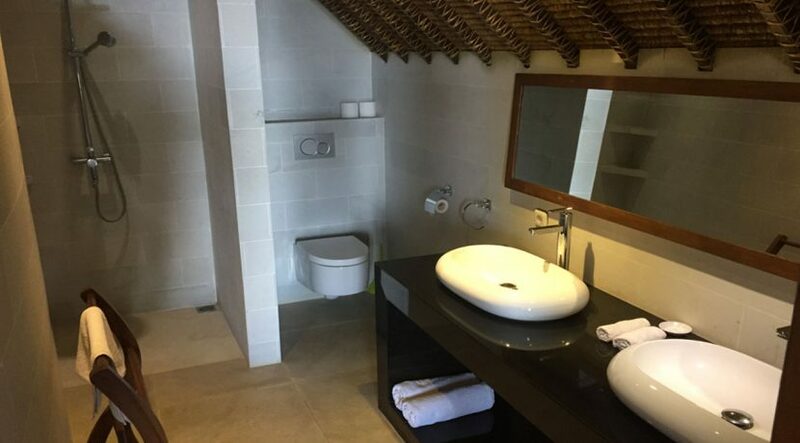 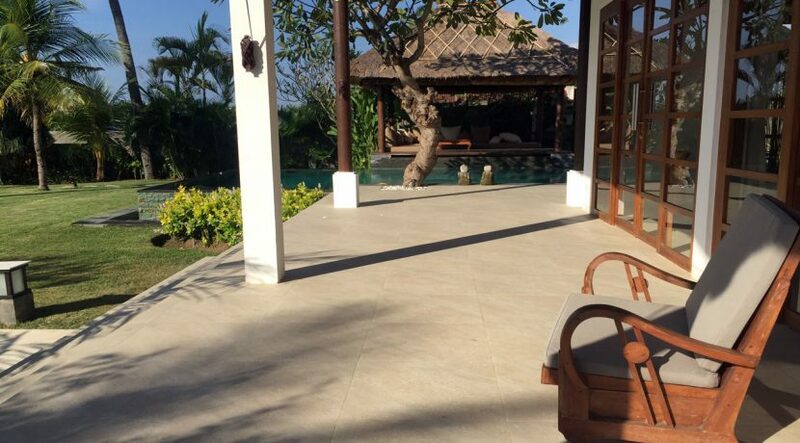 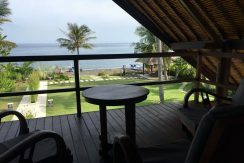 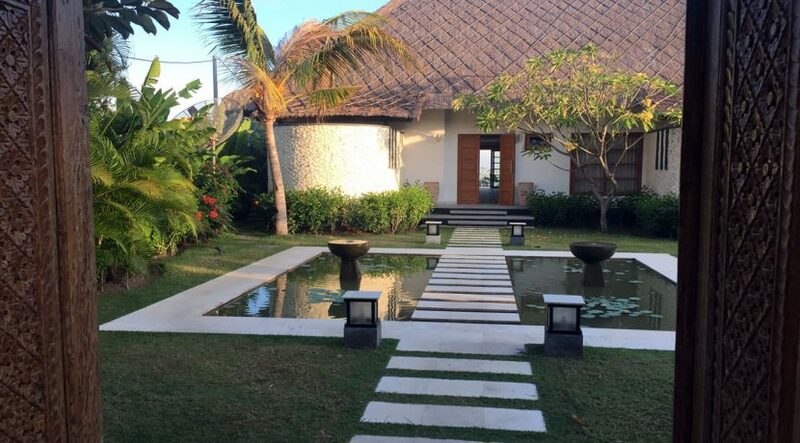 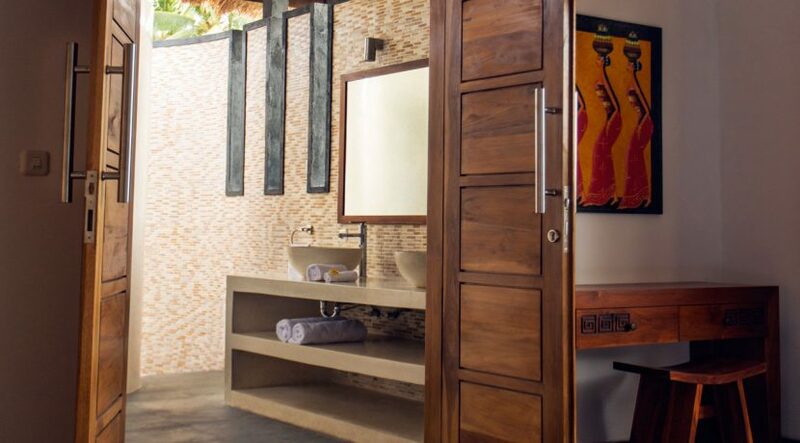 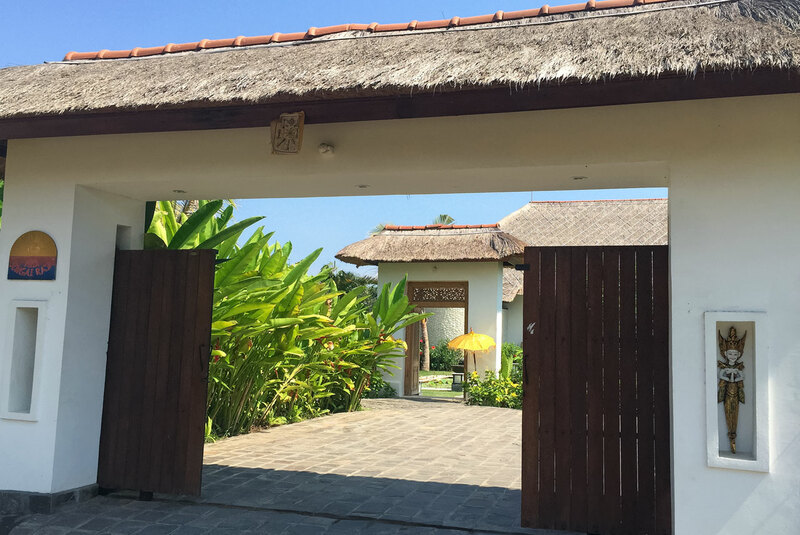 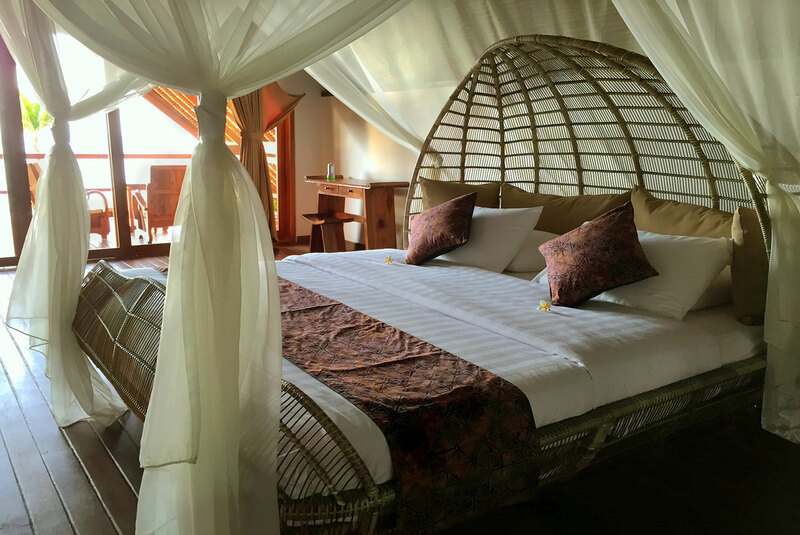 The villa has a staff building with toilet and Indonesian style bath, storage for water bottles and garden tools. 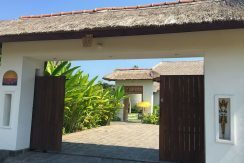 Next to the staff building is the carport and parking. 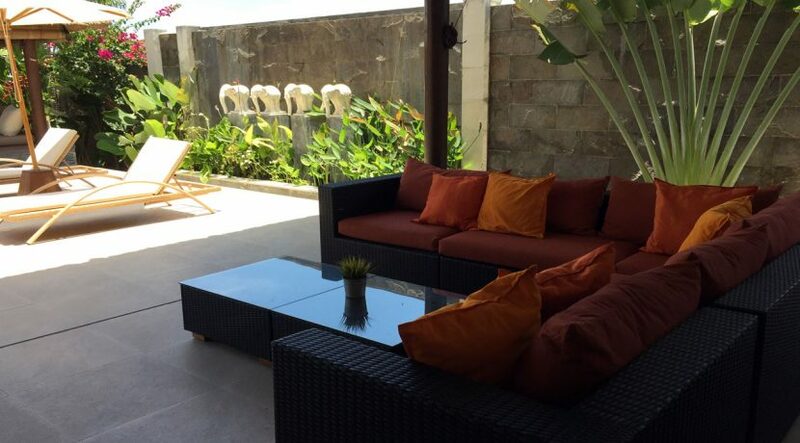 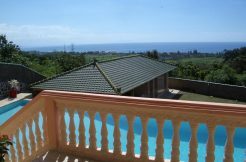 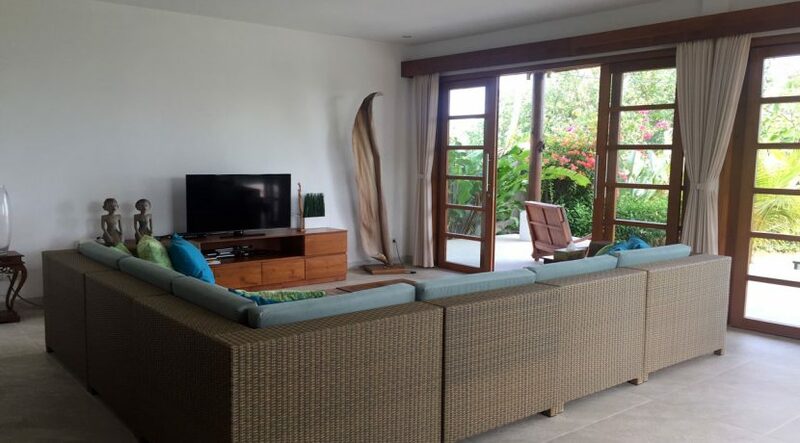 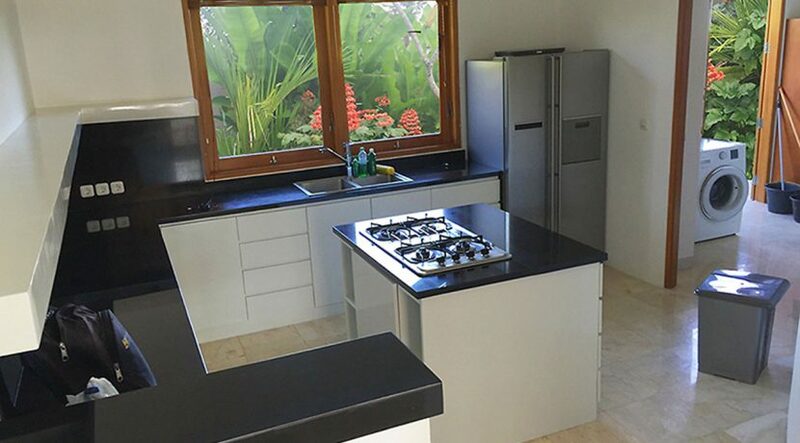 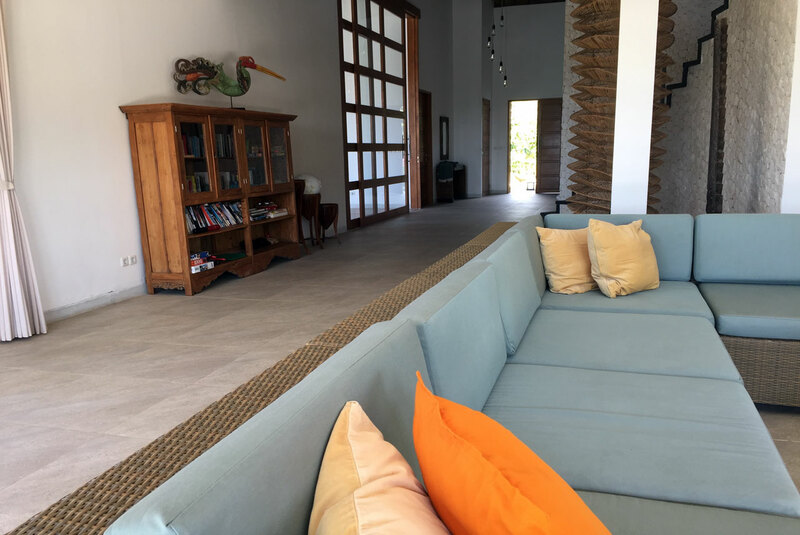 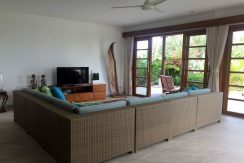 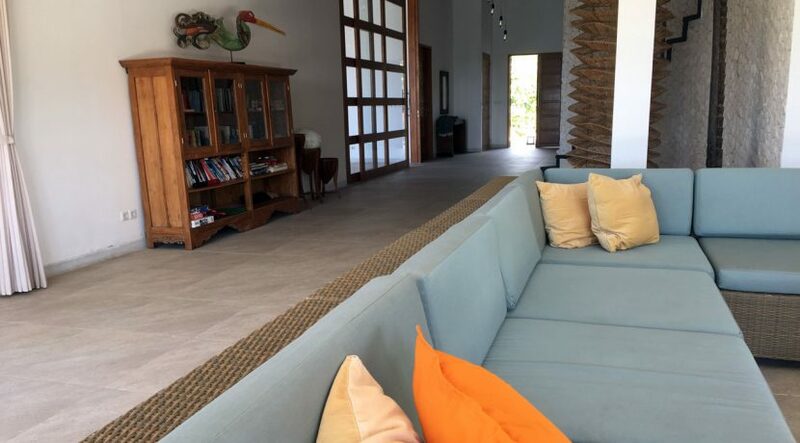 The villa has a beautifully finish with tropical hardwood and is well maintained. 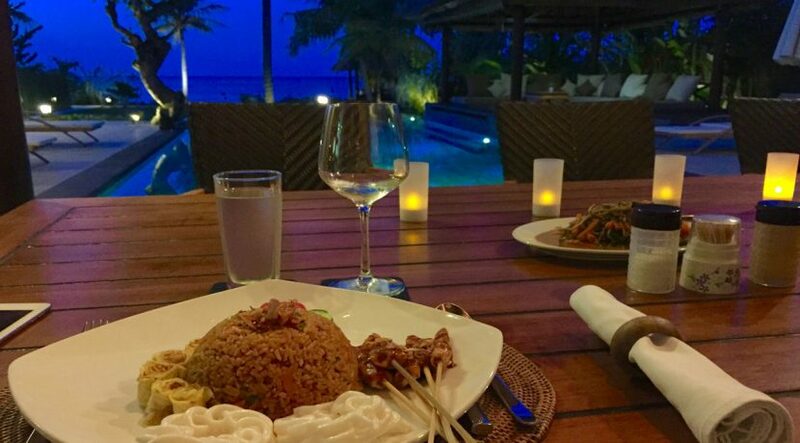 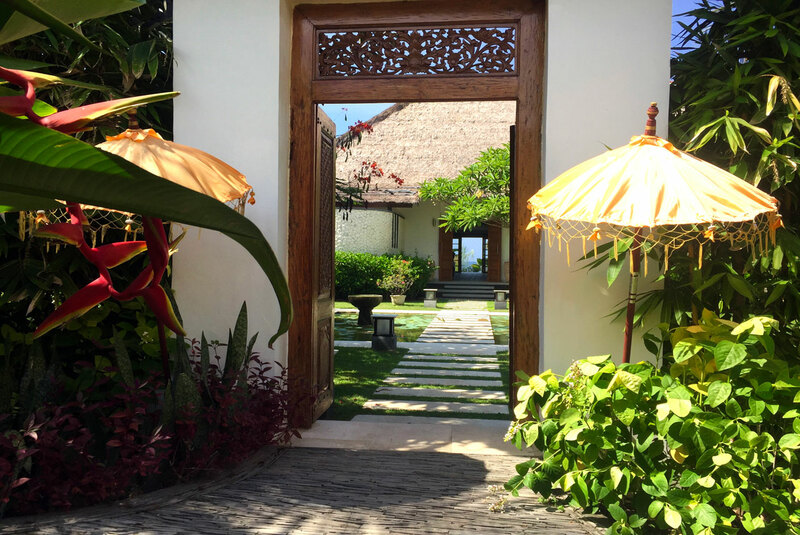 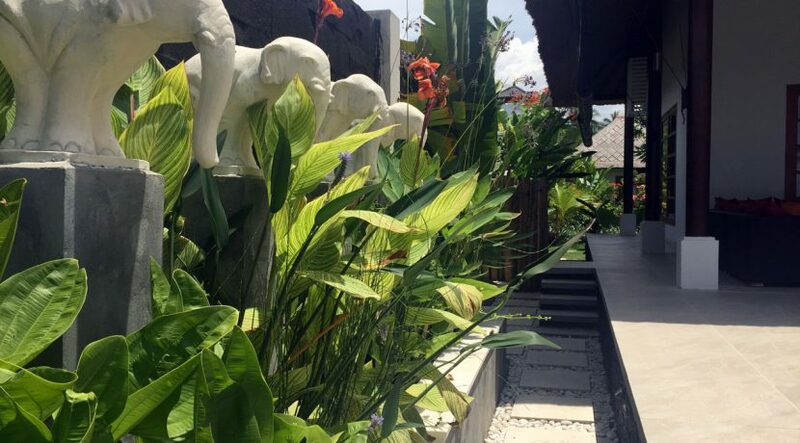 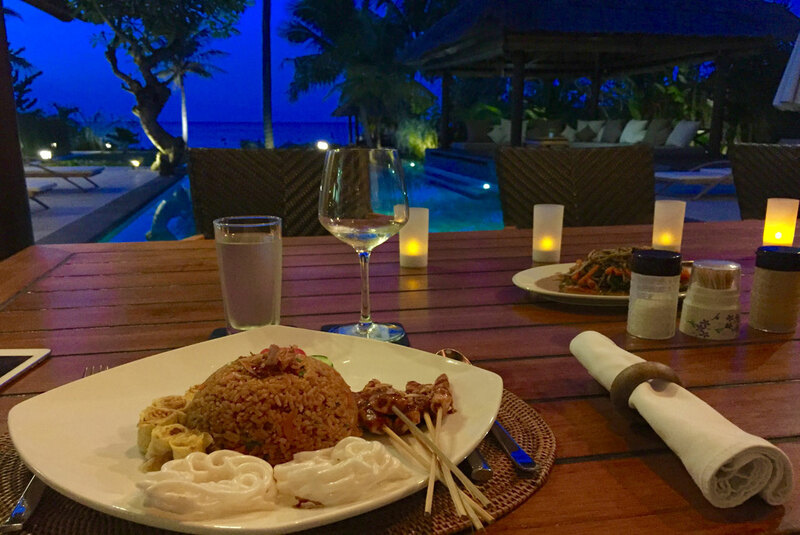 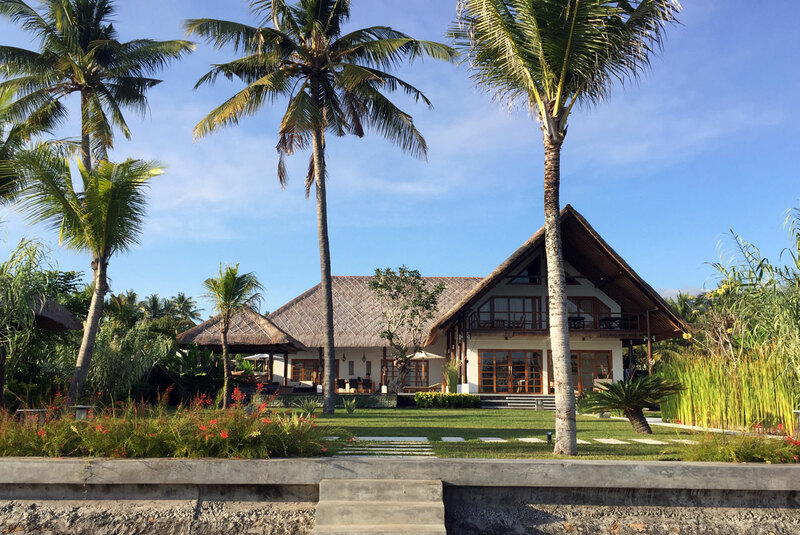 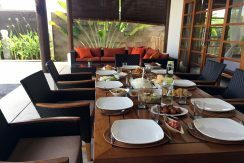 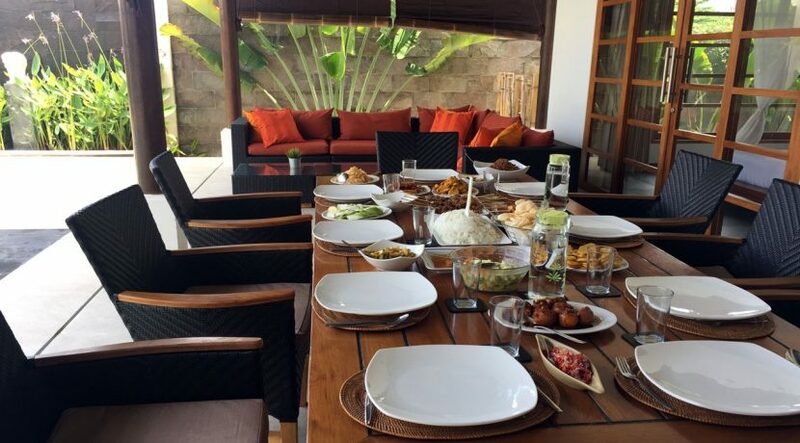 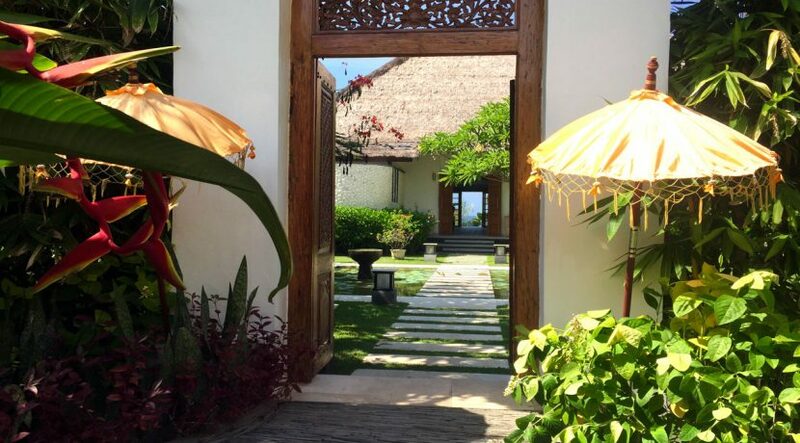 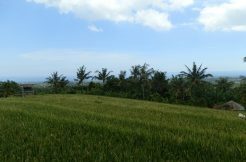 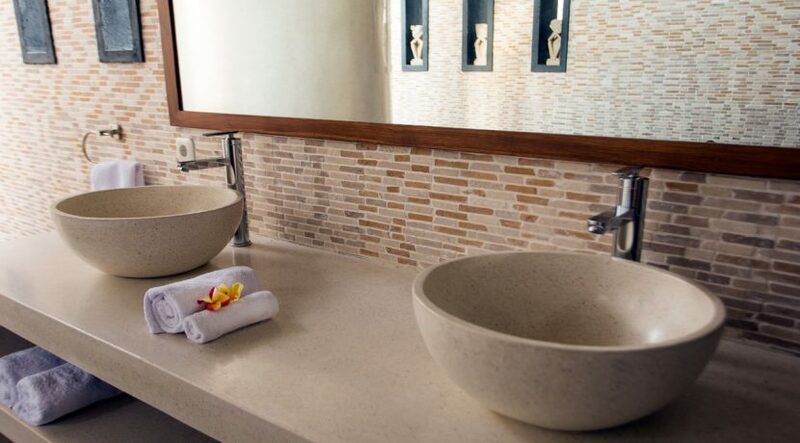 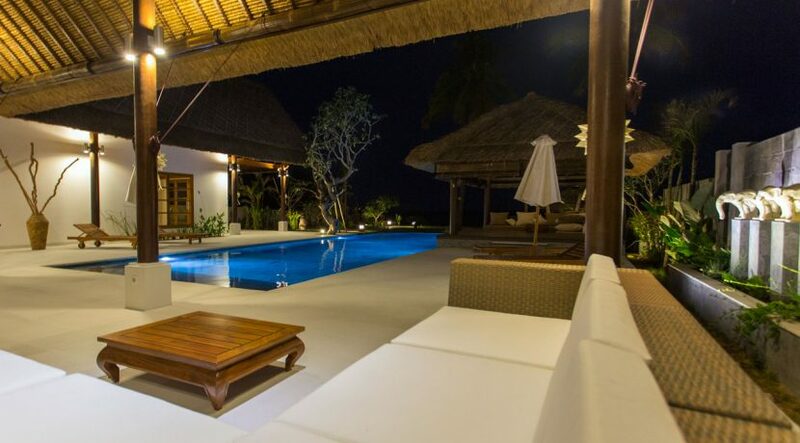 Original local elements are used in various places to create a maximum Balinese atmosphere. 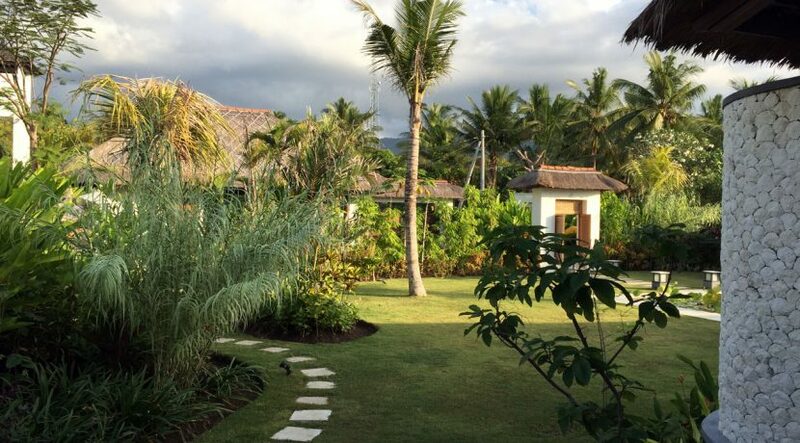 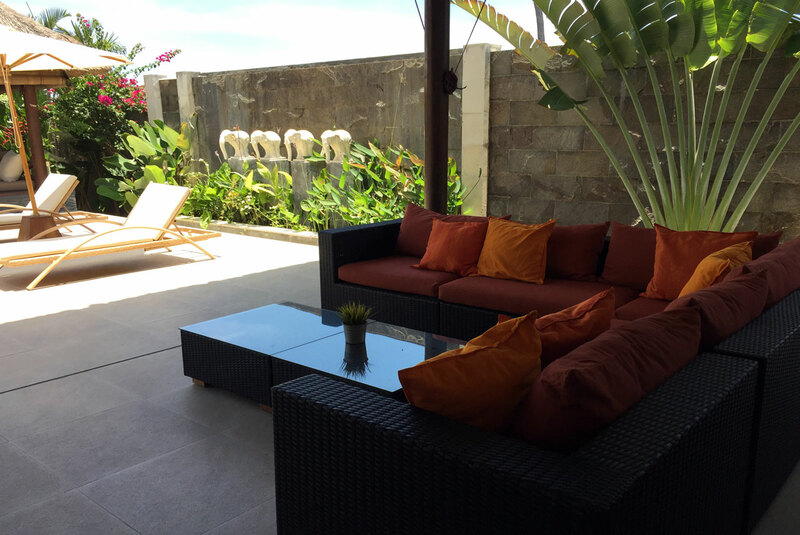 The garden is beautifully designed and landscaped with an eye for detail and with atmospheric indirect lighting. 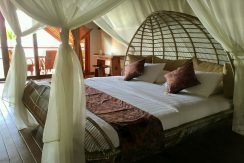 The staff consists of an excellent cook, a particularly friendly housekeeper, 2 gardeners/pool boys and a night watchman. 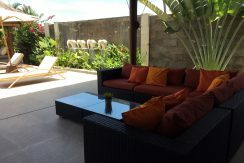 The staff is well trained and would like to keep their jobs in the villa. 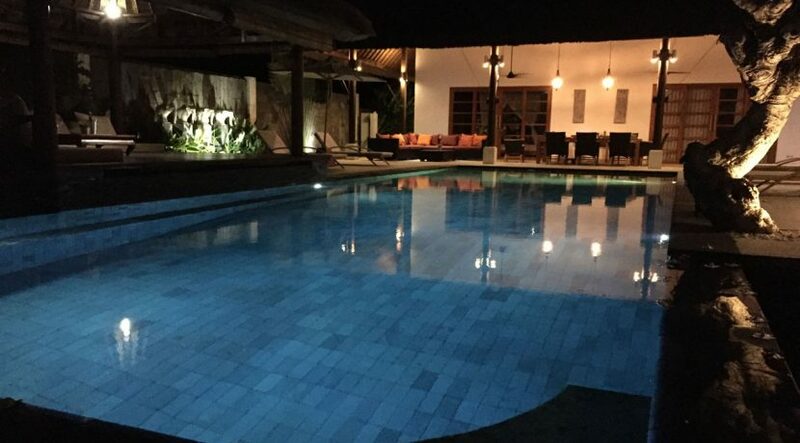 The owner appreciates this very much. The rental is excellent and for 2019 bookings worth of 28.000 euro’s have already been made (per date 12 January 2019). 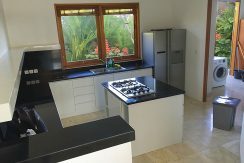 The possible turnover depends on your own use, but can go as high as 60.000 euro’s per year and up. 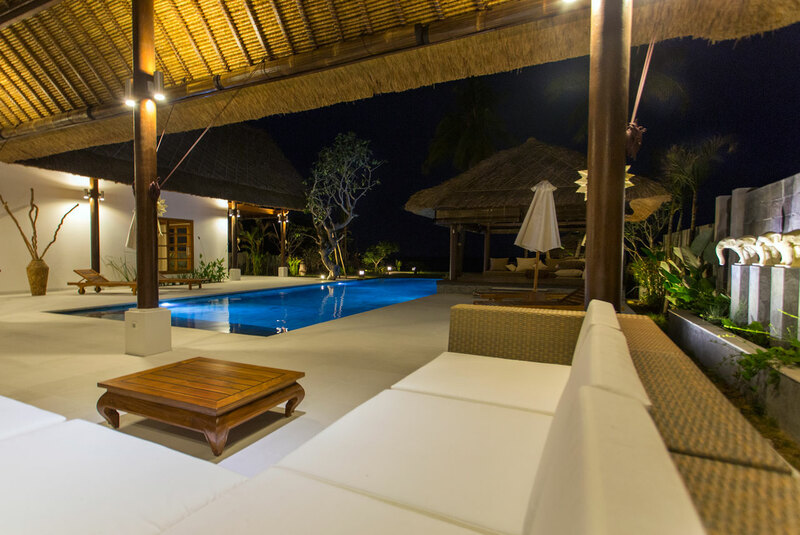 The Villa is highly rated on the internet.